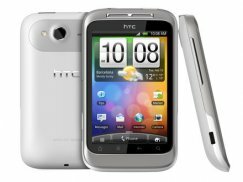 Cellular Country offers a large volume of discounted used cell phones and new accessories. All of our phones will work with your current carrier, and we have everything from the classic, durable Nokia phones to the newest smartphones and iPhones, and everything in between. Our online store has products in stock. You can spend as little as $20.95 or as much as $84.99 on a high end Android phone or iPhone. Our prices are up to 75 percent off of retail, and you can't go wrong because our phones ship fast and are guaranteed to work. All you have to do is search for your next phone by carrier, manufacturer, or condition to find the phone you really want. Every phone includes a working battery, charger, and everything you need to activate your phone including an electronic users manual and an activation guide for your carrier. Your next phone is just a few clicks or a phone call away. Should you have any questions about our phones, the process, or anything else, please don't hesitate to contact us via phone, email, or through our web form. Some is always here to answer your questions 24 hours a day.